Viewed from the surface, nothing could be simpler than a Like. But the more I read and think about online engagement, the trickier this aspect of online social behavior seems. Viewed from a human perspective, engagement is simply about conversations and mutual commitment. In that light, what is a ‘like’ on a social network worth? What does one particular like mean? Want to share the world of their peers and do so by liking what their peers like. Want to be a part of your world and will ‘like’ whatever you do (yes, I know). In our real-life social interactions, we may ‘like’ something or someone for very different reasons. If we move these social dynamics onto an online social network, we get a similar picture. But this time you’re left without the physical presence which may give you a hint of the participants’ motivation for ‘liking’ you. If social dynamics didn’t blur the meaning of a ‘like’ enough, businesses have made the picture even fuzzier by adding their own types of rewards to the normal range of social rewards. Discounts, vouchers, receiving ‘inside’ information, and the like. The race to increase reach by businesses has a side-effect in the fans & followers business which we’ve seen a lot of lately. Numbers of likes – and numbers of fans – have become a way some people measure your popularity in a social sense. Buying clicks (likes) by offering discounts and prizes can turn out to be a great way of spending money, in stead of earning it. Also, if you start rewarding people for their activities you can’t tell afterwards what was more important to them: your brand, or the reward. This article on Itweb.co.za highlights the issue. You run the risk of showing your audience that likes are the only important thing for you – which turns clicks into a currency. The penalty of finishing ‘last’ as a business may be that you’re not able to sell your products (to consumers at least). But even if you don’t own a business, the sense that likes matter may influence your behavior. I lately viewed some Twitter-related apps and ran into one which will allow you to lie about your current location. Newsfeed over website visits: once someone has ‘liked’ you (your fanpage) they will rely on what they see in their newsfeed. This post by Mari Smith on Social Media Examiner dates from 2011 but the picture won’t have changed dramatically since then. All this means you either join the race for likes – and keep your news coming; or you opt out altogether, or you just hope enough people will be interested in your business to ‘like’ you even if you don’t promise to reward them for it. While it is nice to be ‘liked’ rather than ignored, the problem is that one simple click may mean one thing to you and something entirely different to your clicking visitor. The main issue with any type of single-click engagement is that it is the start of readers and viewers engaging with the sharer. Apart from reading or viewing a text or an image, ‘liking’ is often the only form of engagement we show. Accept that likes are the easiest way to stay informed. You’re likely to be just another item on someone’s supermarket shelf. 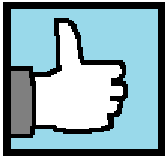 No matter what a like means to the ‘liker’, the fact remains that there is now a paperthin connection between the two of you. See if you can get off the shelf. Depending on the possibilities of the social network, your mission should be to establish a more sustainable kind of contact. This article by Tracey Burrows points the way beyond that first like. I’m sure there is more to be found – if you want to add, you’re welcome to comment below this post. The article by Mari Smith I mentioned earlier contains tips on how to use your Facebook metrics to your advantage. I’ll go into the ways in which other social networks tackle ‘social’ actions in my next post. Meanwhile: how do you deal with likes? Feel free to leave your comment below! This entry was posted in Social media and tagged business, Facebook, Social media, Social media engagement, social rewards by ContentRambler. Bookmark the permalink.